I am a summer girl. I love lying out, going to the beach and eating outside. So when summer ends and fall arrives, it can be a bit of a bummer. 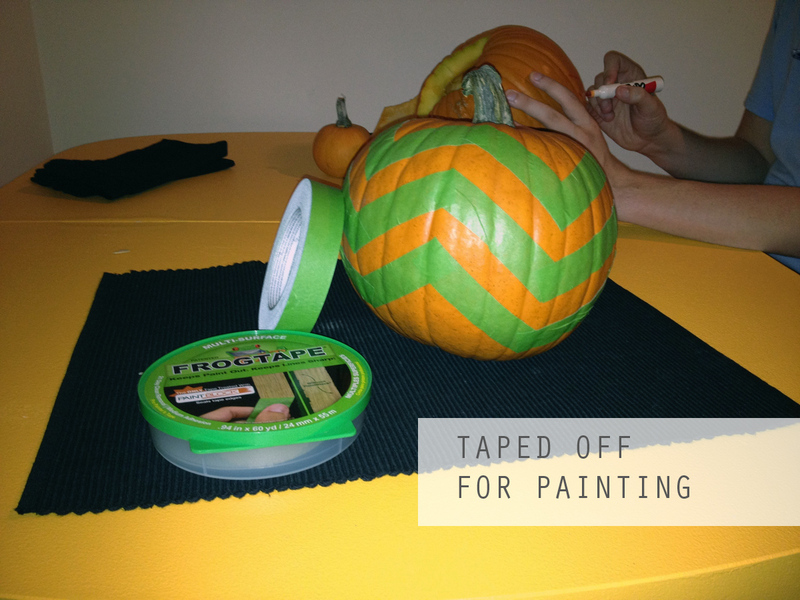 One way to ease that transition is by doing fun fall activities, like decorating pumpkins! 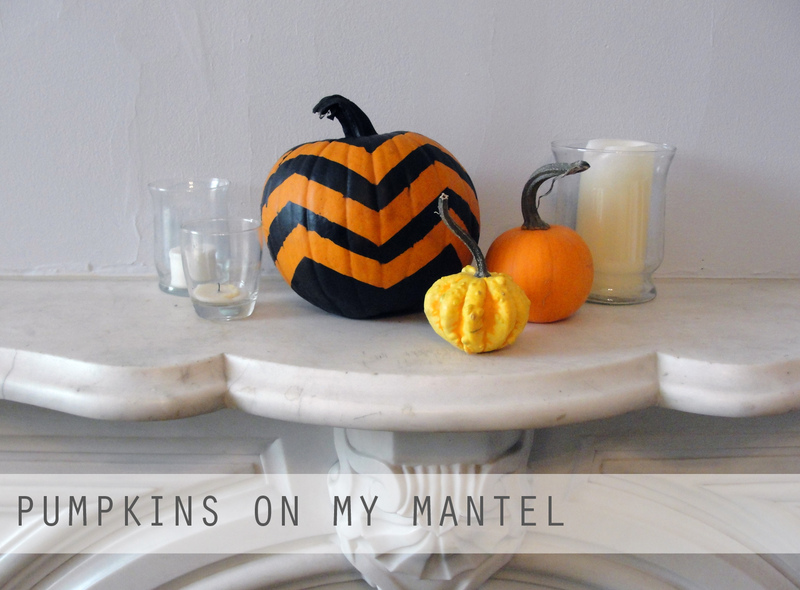 Since my carved pumpkins never come out how I plan, I decided to try a painted chevron design on my pumpkin. I used Frog tape (painters tape) to mark off the stripes. It’s a little bit hard to stay consistent because of the spherical nature of a pumpkin. I just tried my best and repositioned the tape until it looked consistent. After marking off the stripes, I spray painted the whole thing black. To help get paint under the bottom, I placed my pumpkin on a plastic cup. This raised my pumpkin up so I could access the bottom. I started out spraying wrong, in little bursts. This let out way too much paint, and it got drippy and soaked down the natural indents on my pumpkin. On the other side, I had a lighter stream of spray paint and it came out much better. Since one side was to my liking, I decided the pumpkin could go on my mantle, where only the nice part will show.